Dynamic performance, high end looks and well built are words for Yamaha Gladiator RS. Explore the review to get the features, technical specifications & price in India of the Gladiator RS. Yamaha Gladiator RS is similar to the SS type aside from a minor change in the looks and other stuffs. 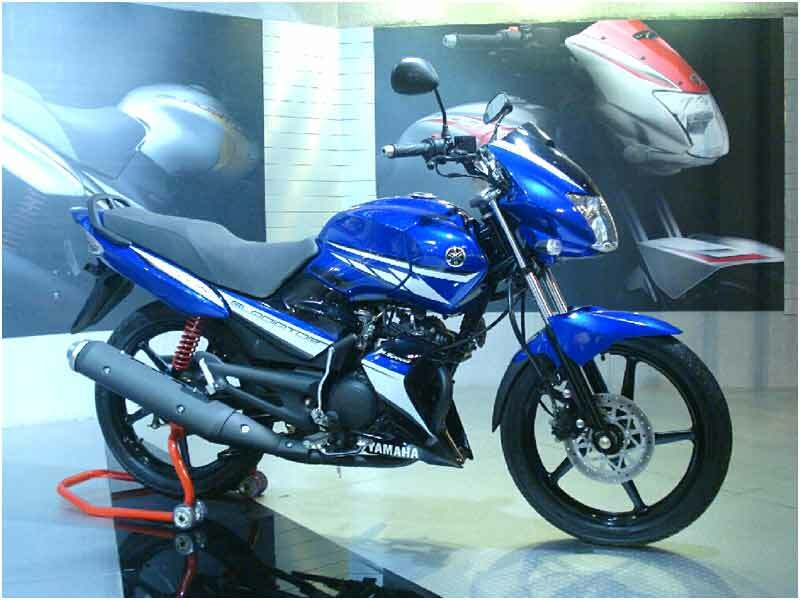 Yamaha received a good response along with the launch of these two models of Gladiator. This bike will sure stun anyone with its ingenious sticker job, black alloys and the R1 inspired indicators. It is one of the best looking bikes which would elicit many a bike lover and we don't feel for a small bike. Developed with the true Yamaha DNA, the Gladiator RS will kick start a new sports biking culture in the Indian biking community. 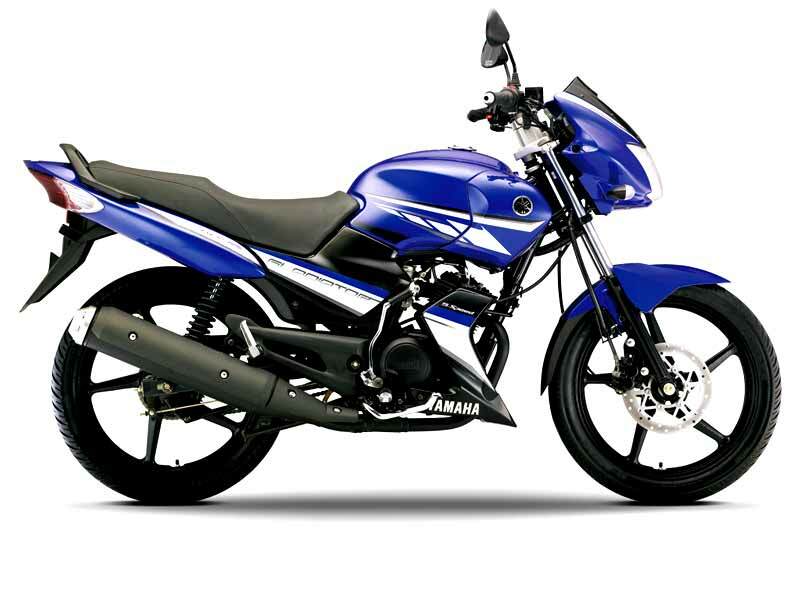 It is a true bike in the 125cc segment and serves to those who are fed up with other 125cc bikes. Compared to the earlier Gladiator models, there is no change in the power and torque output of the New Yamaha Gladiator Types - RS and SS. The engine gives a very good throttle response and picks up in its best level compared to other bikes. It is of 11bhp motor with 5 gear transmission and the gear shift pattern is very smooth. Gladiator RS type comes with many newly developed features which add value to its outstanding performance, new styling, greater handling and comfort. Front cowl is lowered by 30mm for the sporty look of Gladiator RS. Sporty character of Gladiator RS is further enhanced by a new aerodynamic rear fender, sporty chain cover, aluminum foot rests and machine gun type muffler end. Tachometer and Aluminium shift pedal are the further additions for the new Gladiator RS. It has been well designed for substantial improvement in performance, overall sporty look and product reliability. With signature look of Yamaha, the Gladiator is an extremely well built, practical and stylish bike. 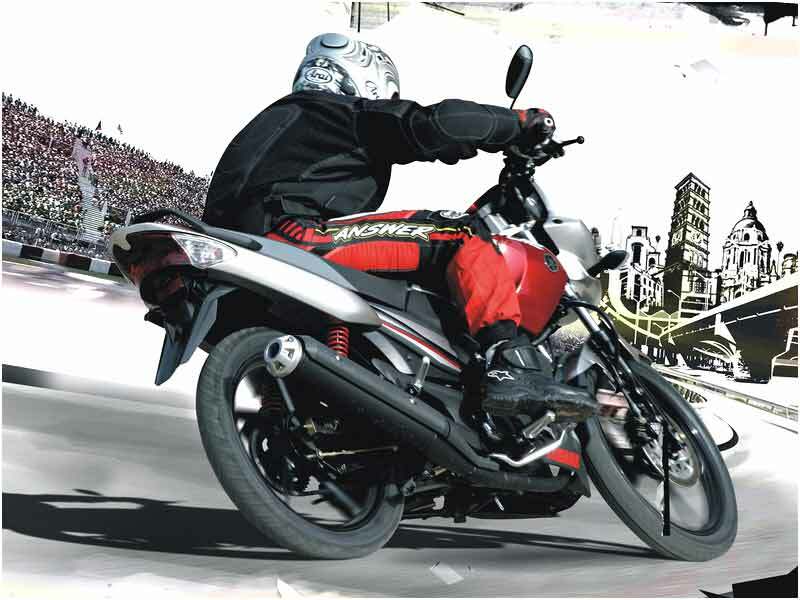 Gladiator RS comes with the refined craftsmanship of Yamaha and it performs better than its competitors. It can give around 55-60kmpl in the city. It has an excellent handling and braking system. The 5th gear is a boon for the highway ride and it starts to vibrate only beyond 85 plus speed. 5 speed close ratio transmission allows the rider to utilize the wide power band to experience excellent performance while riding. Aerodynamic racy cowl, sporty tachometer, wind tunnel design front cowl, lightweight aluminium wheels and powerful front disc brake all give it a dynamic performance and persona. For a smooth and comfortable ride, Yamaha Gladiator RS is the best option as it delivers a splendid mileage of 68-70 kmpl.